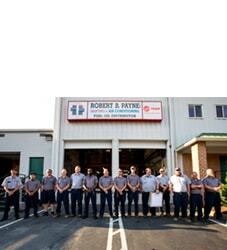 Indoor Air Quality Testing Specialist Fredericksburg, VA | Robert B. Payne, Inc. The air inside a home or other building can be more polluted than the air outside – even 100 times more! Indoor air pollution can cause throat irritation, headaches and sinus problems and can trigger asthma and allergies. 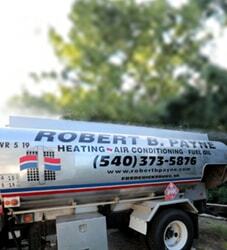 Have the experts with Robert B. Payne, Inc. help make your inside air fresh and healthy for everyone. There are dozens of microscopic substances that fill the air we breathe. Many indoor air pollutants are also found outdoors, but due to natural air circulation these pollutants behave differently. The air circulation that would naturally take place is altered due to the insulating properties of doors, windows and walls. As a result, you will likely need the quality of your air filtration improved. Poor indoor air quality is frequently a combination of the polluting substances themselves and a lack of healthy air circulation. Both of these factors have to be addressed in order to improve overall air quality. We care about the health and well-being of our customers; by combating indoor air pollution, the associates at Robert B. Payne, Inc. can improve community health one building at a time. Is your indoor air stale or stuffy? Are rooms difficult to heat or cool effectively? Is anyone inside the home suffering from asthma or allergies? Has recent remodeling or renovation taken place on the property? Does dust appear on surfaces soon after removal? If you answered “yes” to at least one of these questions, then your indoor environment may have high concentrations of air pollution. Clean indoor air is essential for a comfortable and healthy home. It’s easy to forget about the air we breathe. It’s such a simple matter, and yet so very necessary to our way of life. We cannot see air, though. As such, it’s an afterthought. Once an illness sets in, however, the air we’re breathing becomes far more critical. At Robert B. Payne, Inc. we recommend a comprehensive indoor air quality test to put your home on the right track. How do you go about testing the quality of your home’s air? Well, there are tests available that make the task far more manageable. An initial inspection should help, too. If you notice your air ducts are dirty, or the filter has yet to be changed this month, you need to perform maintenance. Changing out your air filter will improve the quality of your breathing air significantly. If you’re still unsure or have questions, give us a call! How to Measure Indoor Air Quality? Having clean air inside your home is one of the most important steps you can take for your and your family’s health. Even if the air in your home smells clean, it can be full of microscopic viruses, mold spores, pollution, and bacteria you cannot see or smell. In order to properly measure the quality of your indoor air, you need a special tool called a VOC sensor that measures volatile organic compounds present in your air. These compounds include toxins that can leach from carpet and paint. You can also use a carbon dioxide meter to measure greenhouse gasses that may come into your home from outside air pollution. These tools are very expensive and are usually only utilized by professional companies. 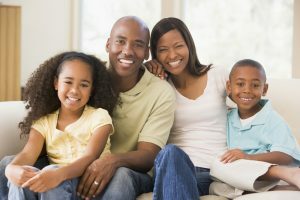 Robert B. Payne, Inc. offers clients a complete comfort assessment to determine the level of indoor pollution you have in your home and how we can improve the air quality to promote optimal health. We are happy to match you with the perfect appliances and filters that will dramatically improve your indoor air quality. When it comes to choosing the right indoor air quality system for your needs, you need to take into consideration the current quality of your air, the needs of the entire building, and the overall characteristics of the building itself. For commercial structures, the volume of fumes being created through work processes will play a major role in selecting an indoor air quality system. For example, industrial processes will produce large quantities of dust particles, while welding may produce fumes. These fumes will rise, and heavier dust will return to the air, lowering the overall quality. Depending on your needs, an indoor air quality system can remove pollen, bacteria, molds, carbon dioxide, contaminates, and dirt from the air. For many, ventilation will make a huge difference. Proper ventilation is essential to improving air quality indoors and reducing environmental risks for those living or working in the immediate area. There are a few signs to watch for to discover whether or not you may have an indoor air quality problem at home or work. For example, if you are worried about the air quality at home, the common signs to watch for will be feeling sick at home but feeling better when you are away. If you notice extra dirt or mold around your heating and cooling units, these are sure signs of an air quality problem. Dirt and mold sometimes come with an odor in the air that doesn’t seem to dissipate easily. Alternatively, if the air in your home does not appear to be circulating efficiently throughout each room, there is an issue with your heating or cooling system that a professional needs to examine as soon as possible. While inspecting the system, a professional will keep an eye out for any other signs that could be harmful to your health. Contact Robert B. Payne, Inc. Today! 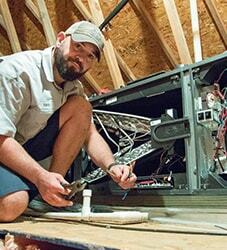 We specialize in improving the indoor air quality of homes and businesses in the Fredericksburg area. Give us a call toll free at (540) 373-5876 to schedule an assessment or use our convenient online contact form.